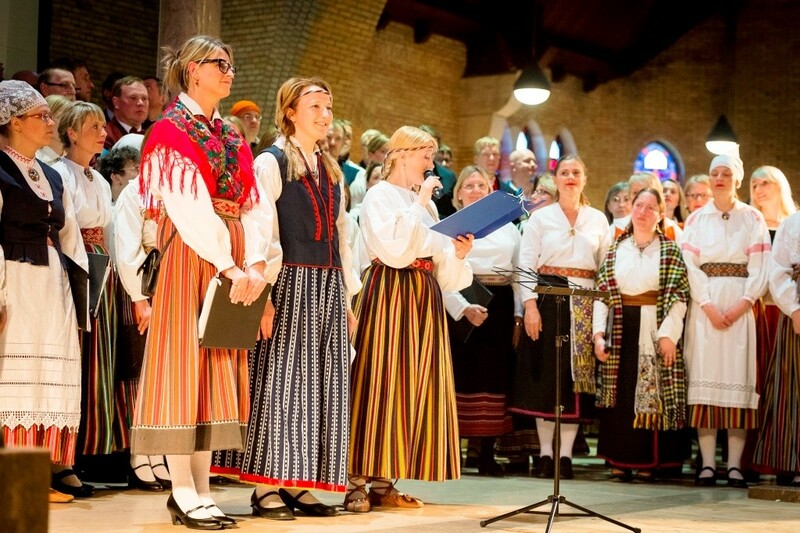 Estonian choirs from across Europe took part in a small Estonian song festival in Amsterdam, the Netherlands. By Rein Jüriado, Kaire van der Toorn-Guthan, Agnes Kuusik-Dijkstra. How do you best demonstrate to the world the significance of the longstanding tradition of Estonian song festivals? 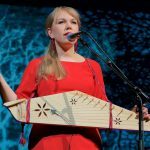 Three active ladies of Estonian heritage, living in the Netherlands, pondered this question and came up with an answer – take the song festival to the locals and showcase it right on their doorstep. This idea was the brainchild of Kaire van der Toorn-Guthan, Agnes Kuusik-Dijkstra and Margit Tera who decided to organise a small European version of the Estonian song festival, entitled “Kõlavöö II: Just Estonishing”, which took place at the end of April in Amsterdam. Judging by the post-event emotions, they were undoubtedly successful in creating the unique feeling inspired by the song festival. Several choir members admitted that they had tears in their eyes and a lump in their throat when the joint choir of 200 singers, together with the Estonian Youth Orchestra, performed Tõnis Mägi’s “Koit” (“Dawn”) or Peep Sarapik’s “Ta lendab mesipuu poole” (“Flying homewards”). The organisers had put the blue, black and white flags – the national tricolour – on the seats; the audience waved them during the songs just like they do once every five years at the Estonian Song Festival in Tallinn. 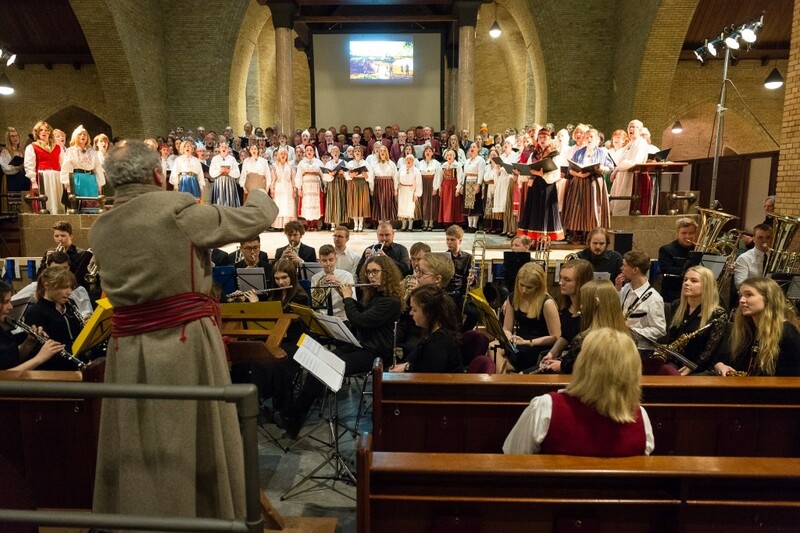 The Hofkerk church in Amsterdam, which seats approximately 600 people, was not completely full but the Dutch interest in Estonian culture proved to be much greater than anticipated and this, of course, contributed greatly to the success of the event. Organising a large event requires much planning and forethought. 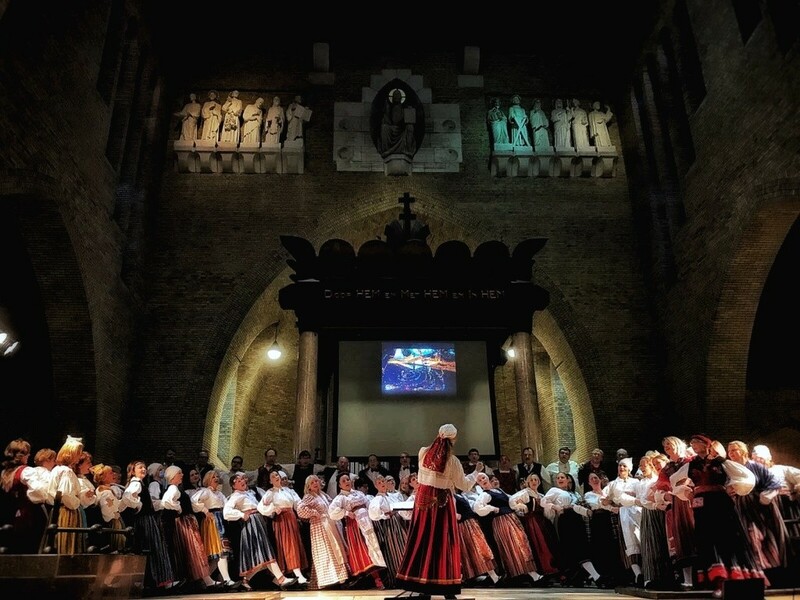 The idea of the event began to evolve two years ago when the first “Kõlavöö” concert was organised in the Amstelkerk church where just 140 singers took part. There was a small miscalculation on the part of the organisers who had overlooked the fact that the capacity of the church was only 200 people including the performers – hence the concert was performed to a full audience, but the number of performers outnumbered the audience by nearly two to one. Despite this, a gentleman called Ronald Suér, who was in the audience, was inspired by the Estonian song culture to such a degree that he sought out the organisers and proposed that a similar festival should be held in his own church, the Hofkerk (approximately three times the size of the Amstelkerk). At the first meeting with the Hofkerk, the future co-organisers were somewhat reserved. 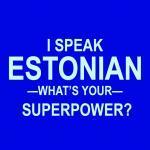 Nobody knew anything about the Estonian song festivals or what to expect. During the course of the meeting, the proposals assumed ambitious proportions but by the end, Astrid Boerse’s – the chairperson of the church committee – and pastor Coen van Loon’s eyes were shining with enthusiasm. 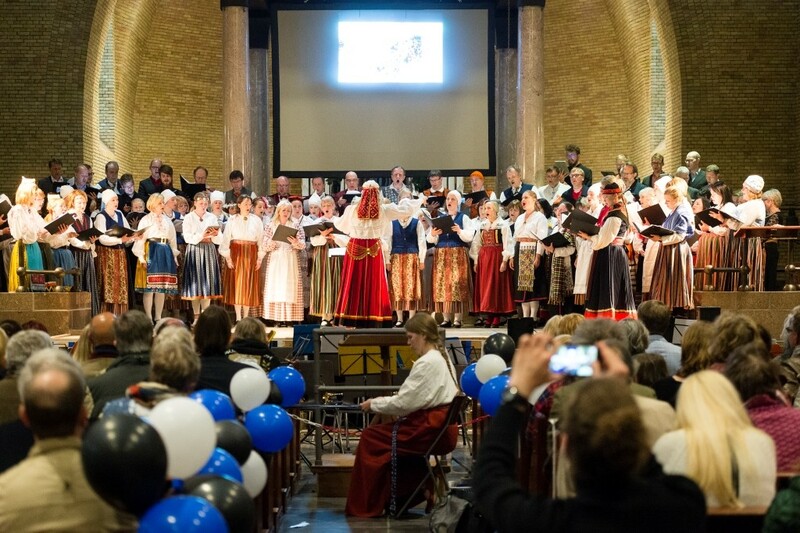 An Estonian song and dance festival was going to be organised in Amsterdam’s Hofkerk. 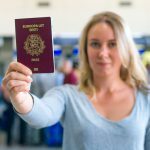 The next question – how to proceed? 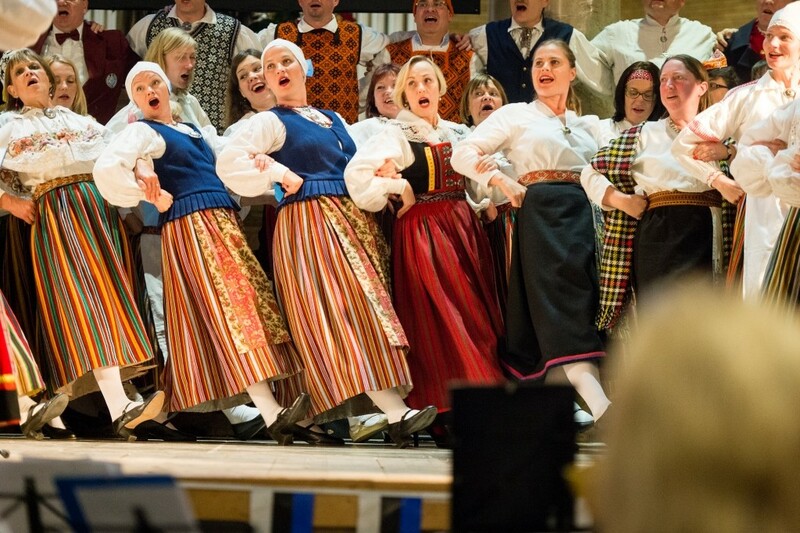 The organising team had great confidence in the main choir who would perform at the concert – “The European Estonians’ Choir” that is based in Luxembourg. The choir manager, Anneli Aken, was immediately contacted and involved in the project. Next, some more male voices were required to strengthen the sound of the mixed voice choir. Old friends from the Haaslava Male Voice Choir from Estonia with their conductor, Kalev Lindal, were approached and taken on board. The Hofkerk is large, however, and even more participants could therefore be invited. 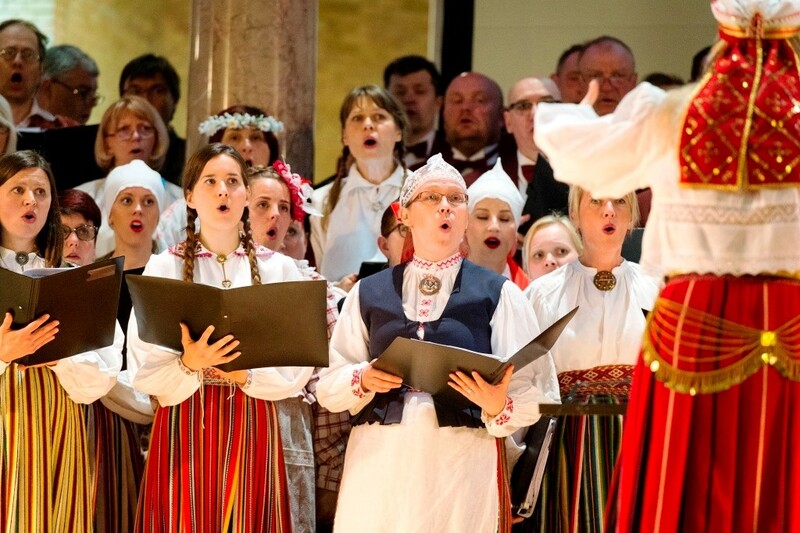 It was decided to invite other Estonian choirs in Europe: from Stockholm, Gothenburg, London and Switzerland. In March 2016, Kaire van der Toorn-Guthan had met an Estonian-Swedish community activist Rein Jüriado in Stockholm and they had discussed the culture of Estonian singing and the organising of a festival. 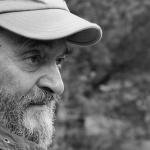 She asked him how she could get in touch with the Estonian Mixed Voice Choir in Stockholm and when it transpired that she was actually talking to the chairman of the choir, it was quickly decided – over a glass of wine or two at a nightclub – that the choir would take part in the festival. It was easy to get in touch with the choirs in Gothenburg and London via mutual contacts: Aho Rebas, another notable activist in the Estonian-Swedish community; and Kristi Jagodin, the conductor of the London Estonian Society Mixed Choir; also agreed to take part. By this time, nearly 200 singers had been invited, so it was now time to think about an orchestral accompaniment. The Estonian Youth Concert Orchestra, who the organisers had already met at the ESTO festival (the long-running event organised in four-year intervals since 1972 by Estonian expats – editor) in San Francisco, was asked to join the festival together with conductors Jaan Ots, Aavo Ots and Priit Sonn. To this large group of performers, folk dance groups from Estonia, led by Teet Killing and Mari Tomp, were added almost seamlessly. 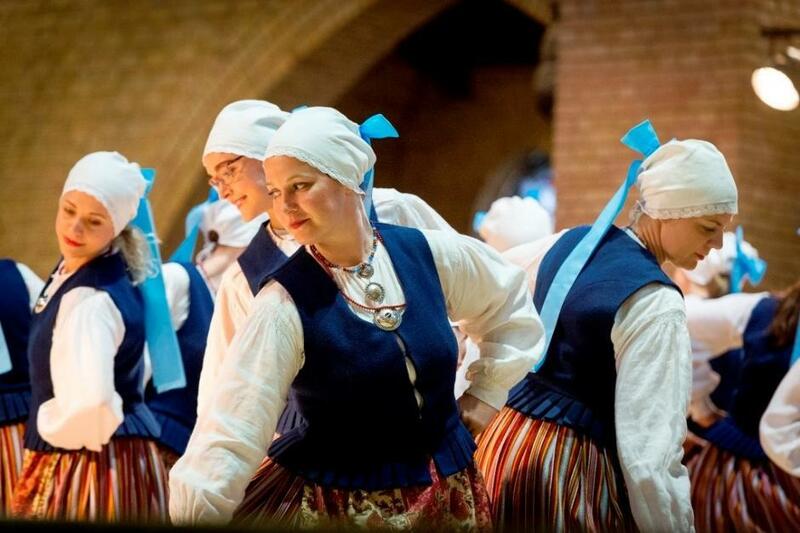 The Netherlands’ own Estonian dance group, “Tuuletütred”, led by Maria Killing, joined in; as did the Luxembourg-based folk dance group “Laiali”, led by Mari-Liis Kivioja. Somehow and almost unnoticeably, the number of performers had increased to 300 from 15 different countries. The organisers chose a concert programme combining classic song festival pieces with favourite songs from the “night song festivals” that have taken place regularly since the restoration of independence – such as “Tuljak” (“The Wedding Song”), “Ӓrkamise aeg” (“The Age of Awakening”) and “Laul Põhjamaast” (“The Song of the Northern Land”). They also wanted to showcase the diversity of the Estonian choral singing and folk dancing by including songs and dances from different parts of Estonia. In addition to the amateur choirs, it was decided to invite the top Estonian classical chamber choir, the Collegium Musicale, to perform. Their representative, Kristel Üksvärav, and their conductor, Endrik Üksvärav, became involved and from there evolved the idea of working together with the Netherlands Chamber Choir. As the number of participants grew, so did the event itself: the Collegium Musicale performed a couple of songs at the main concert on 2 May, but their main performance took place the next day in the Amstelkerk, together with the Netherlands Chamber Choir. 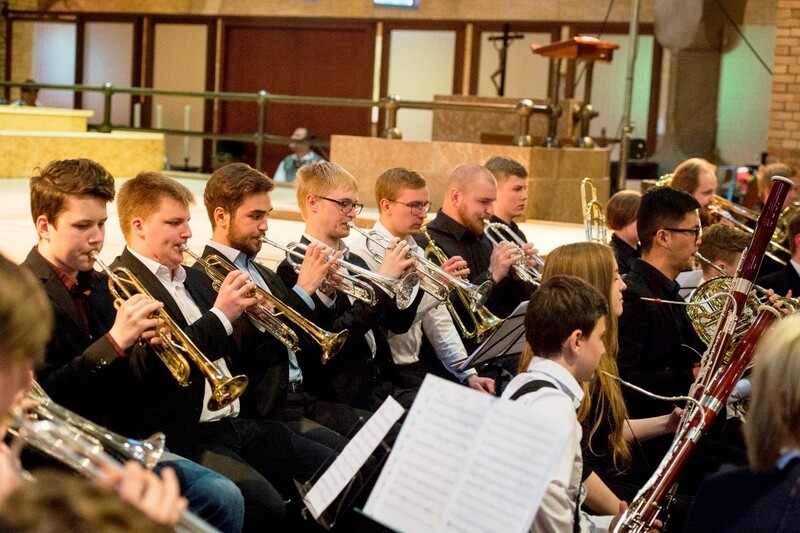 This was a joint concert by two top choirs performing the music of famous Estonian composers such as Arvo Pärt, Veljo Tormis, Erkki-Sven Tüür, Pärt Uusberg and Evelin Seppar. As the festival took place on the same time as the Dutch king’s birthday, which is a huge celebration in the Netherlands, the organisers decided to introduce some Estonian culture to the locals before the actual concert. This was also a great opportunity to promote and advertise the concert. 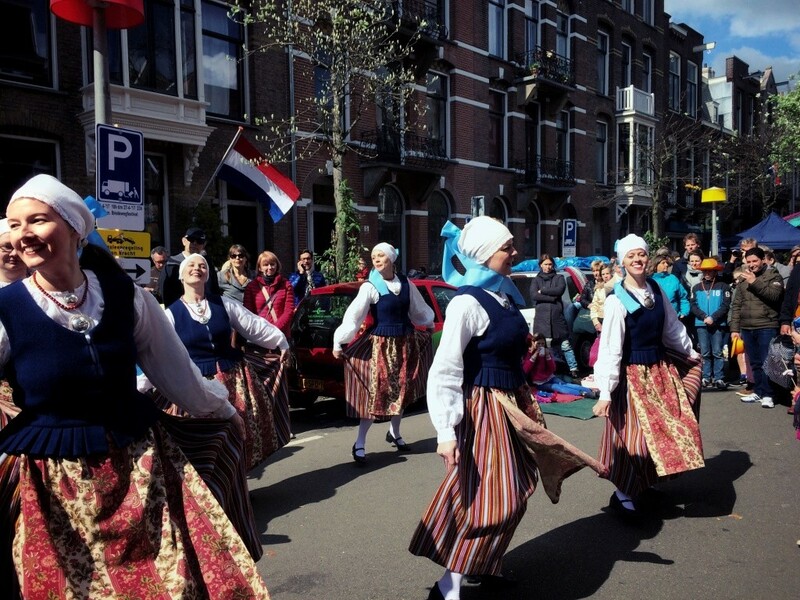 The performances, introducing Estonian songs and Estonian folk dances, took place on 30 April at the Bredeweg festival which was attended by 20,000 people throughout the day. It was great to see that the reception was very warm and much interest was shown. The name of the concert, “Kõlavöö”, proved to be a real tongue twister for the Dutch and few of the locals were able to cope with the pronunciation. There are, however, also numerous Estonians for whom it will come as a surprise to learn that the word “kõla” refers to the brightly coloured tablet woven patterns of Estonian national costumes. “Vöö” means belt and so “kõlavöö” means a tablet woven belt. This word can also be split differently as “kõlav-öö”, which means a night full of sound and, as such, is also an appropriate name for this musical event which took place on a spring evening. 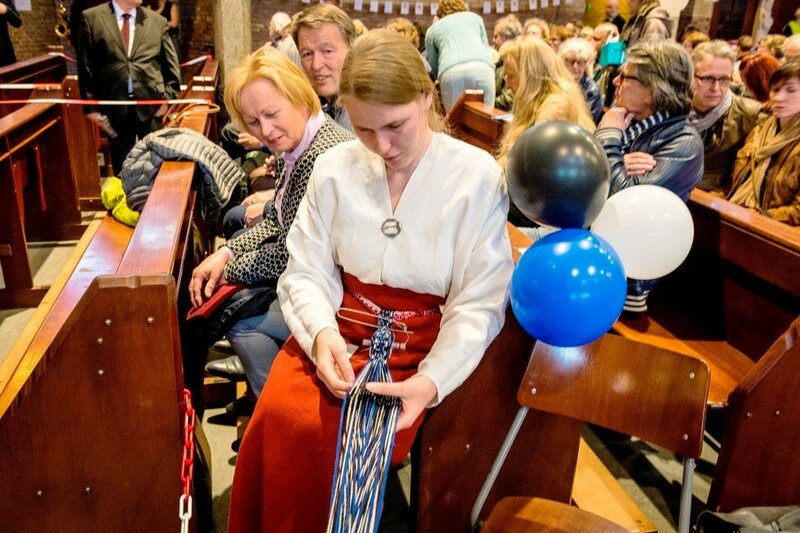 At the concert, there were hundreds of tablet woven belts to be seen but this was not the only way in which Estonia was introduced to the Dutch people. Before the main event, there were a few stalls in the Hofkerk where Estonian food, including bread from the island of Muhu, drinks and other authentic goods could be purchased. During the concert, pictures of Estonia’s landscape and the song festival grounds in Tallinn were projected onto the stage. It is to be hoped that all the members of the audience left the concert as bigger fans of Estonia than when they had arrived. In his closing speech, the honorary consul of Estonia in the Netherlands, Nicolaas van de Griendt, told the organisers that he hoped the Kõlavöö concerts would become a tradition. It would also be wonderful to see the tradition of Estonian song festivals being reinstated in other European countries. 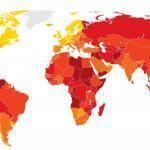 This article was originally written in Estonian. 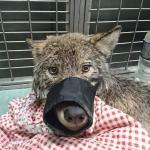 Translation provided by Reet Järvik. Photos by Maarten Laupman/Kaire van der Toorn-Guthan.